Its first sequel, The Raid: Redemption was previously screened in Malaysia on 2011. The movie 'The Raid 2: Berandal' by director Gareth Evans is banned as it contained too many violent scenes, Film Censorship Board (LPF) Chairman, Dato 'Abdul Halim Abdul Hamid said when contacted by Astro AWANI. "LPF banned the screening of 'The Raid 2' because it has too many violent scenes shown in the film which is not suitable for approval. "We have already seen the movie with two LPF communities and the report on the ban on the film has already been given to the distributors in Malaysia. They (dealers) have our report," said Abdul Halim. Earlier, The Jakarta Globe reported that no reasons were given by the Malaysian authority on why the film was banned. Democratic Party Presidential candidate, Pramono Edhie Wibowo requested for Malaysia to provide an explanation on why this film was banned from screening. "This is shocking news; the Malaysian government banned the film without giving any reason. "I also demand that the Ministry of Foreign Affairs should actively perform its role as the government intermediation" Pramono told The Jakarta Globe. A spokesman for the film’s distributor, Nusantara Edaran Filem when contacted by Astro AWANI said that the news to ban the film was already known in Indonesia upon receiving the LPF report. "We have informed the publishers of 'The Raid 2' about the LPF report and the publisher there wants us to try our best to unban it. "We are still trying to appeal to LPF to examine the content of the movie once again," he said. According to the spokesman, the LPF report on the ban was accepted by them one week prior to the screening date in Malaysia. "LPF has reviewed the movie twice and it is indeed forbidden to show here because there are violent scenes with long durations," he said. 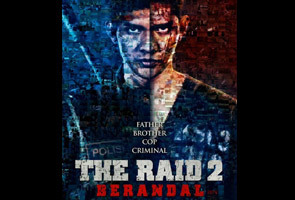 'The Raid 2: Berandal' was scheduled to be screened in cinemas across Malaysia on March 27. The movie, a sequel to 'The Raid: Redemption' is a martial arts action film with casts including Iko Uwais, Yayan Ruhian and Arifin Putra . The plot centres around Iko who plays a role as Rama, a SWAT police officer in disguise aimed in revealing a corruption case. Its first sequel, 'The Raid: Redemption' was previously screened in Malaysia in 2011.